Sandhan Valley is a beautiful water-carved canyon, around 200 feet in depth, close to the peaceful village of Samrad. 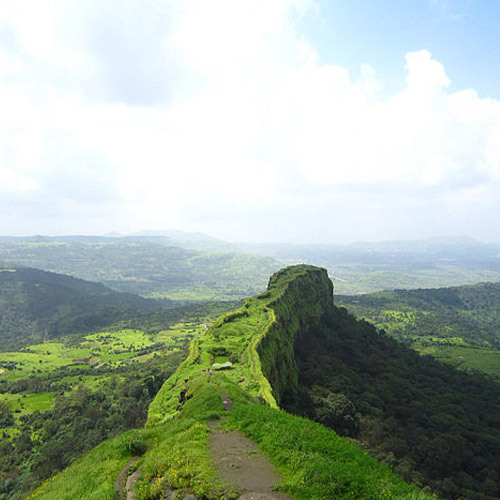 Surrounded by multiple forts, it is located in the Bhandardara region, and is 2 kms long. This area is also called the Valley of Shadows, thanks to the high walls of rock that tower over you as you walk through the valley. These walls block out the sunlight, keeping it dim and cool while you trek. 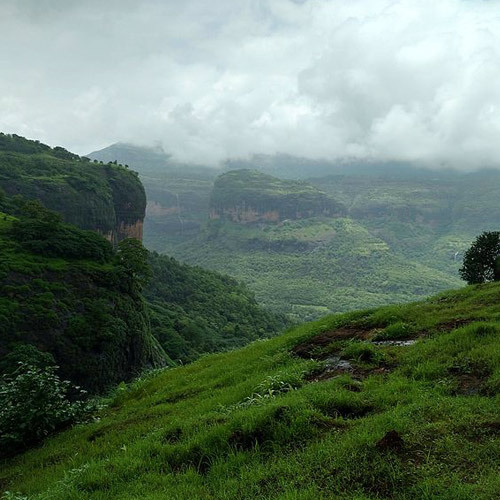 This is one of the most unique treks in Maharashtra, due to this rare landscape. The Sandhan Valley trek is a one day, moderate to difficult trek and is recommended for more experienced trekkers up for a challenge. There may be some sessions of rock-climbing or rappelling involved, depending on how deep your Sandhan Valley trek takes you into the Valley. 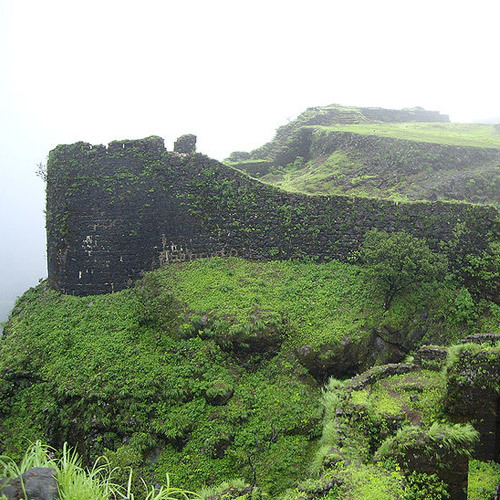 The Sadhan Valley area also features Ratangad, Ajoba and Kalsubai mountain ranges, and is flanked by the massive forts of Alang, Madan and Kulang, amongst others. There is no ascent during the Sandhan Valley trek; instead your trail takes you along the valley floor for about 7 hours. At the end, there are clear pools that you can swim in. As night falls, you’ll set up tents and spend the evening exchanging stories by a warm campfire. At night you’ll sleep in tents in the lap of nature. The Sandhan Valley trek is a one or two day trek depending on your location. 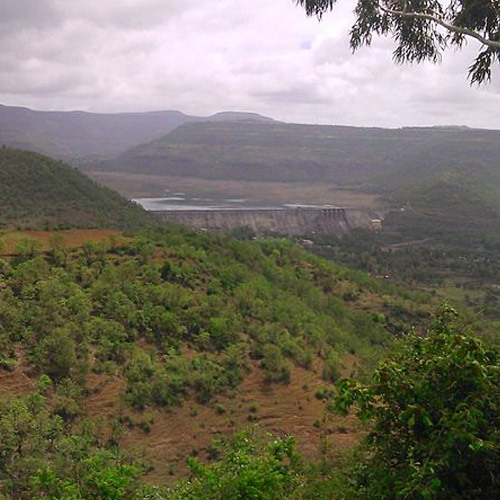 From Pune, the Sandhan Valley trek begins at 11 am at the starting point, which is a base village named Samrad. After breakfast, participants start the trek and halt for lunch. There’s a short rappelling session over rock ledges. After exploring the area, you'll head for base camp by 4.30 p.m. Enjoy some snacks at the campsite, and then explore some of the surrounding sights like the pinnacle point and the pool. You’ll set up tents for the night, eat dinner around a campfire, and then tuck yourselves into your tents for the night. 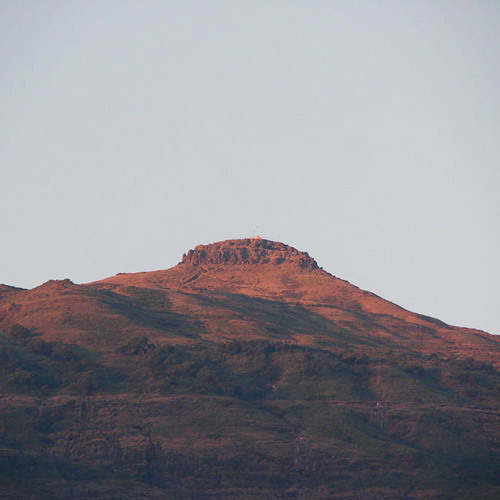 The next morning, after having breakfast, you'll begin trekking to the base village, and then depart for Pune by late afternoon. 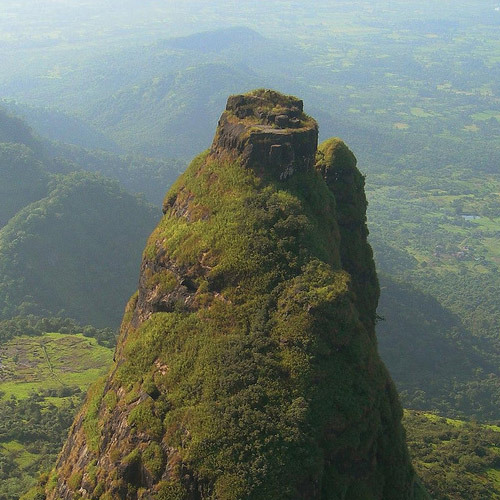 Alternatively, to go for the Sandhan Valley trek from Mumbai, participants must gather at Kasara at 01:20 hrs, to travel to Samrad in a private vehicle. Reach by 4 am, grab a bite and rest for a while. Begin your trek at 7 am, with some rappelling, and then continue on to explore Sandhan valley, eating lunch en route. Reach the camping site by 6 pm. Here you can eat, relax, admire your surroundings, and settle down around a bonfire. For the best Sandhan Valley trek experience, you should go during the winter months. The days are pleasant and the nights are cold and delightful. 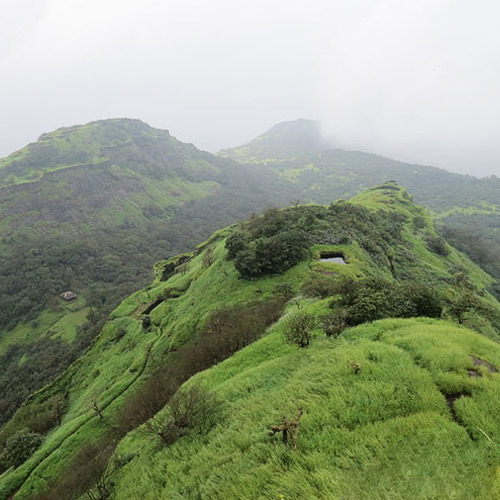 The valley remains closed during the monsoon because the numerous waterfalls thundering over ledges and the falling boulders make it dangerous. 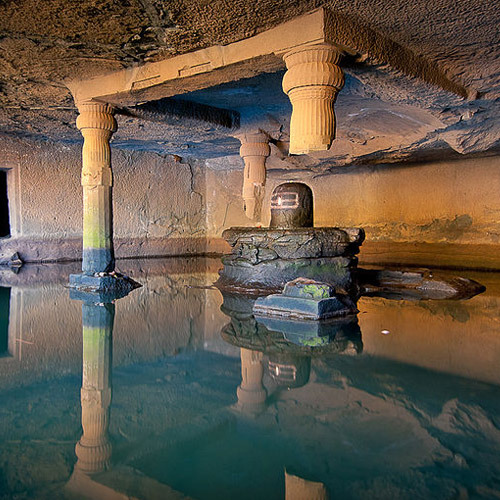 Trek into the dusky gorges of a mysterious valley, through canyons carved by weather and water. You'll negotiate rocky terrain and narrow paths between rock surfaces, and wade through 4-6 feet deep pools of water. You'll do one session of rappelling down steep rocks to get to your campsite, and will enjoy a crackling bonfire after that. In the night, the twinkling stars take over the sky and you’ll sleep in cosy alpine tents. NOTE: This is a strenuous trek and is suggested for trekkers with some experience but it can also be undertaken by very fit beginners. Any cost arising due to delays, road blocks, landslides, etc. 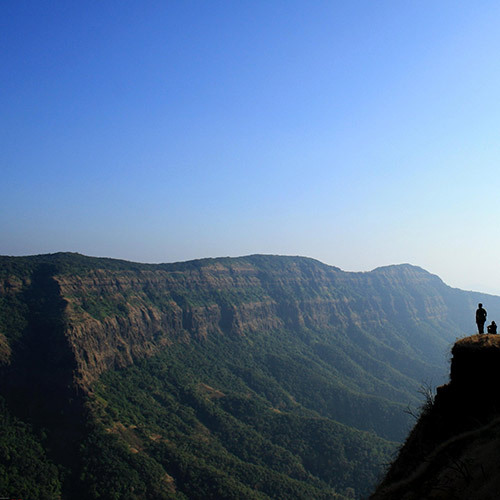 Known as the Valley of Shadows because the light of the sun doesn't reach most areas of the 200-foot deep canyon, the Sandhan Valley trek is one of the most unique treks you can do around Maharashtra. The trail takes you all the way down into the valley, to ledges that you'll have to rappel over, and down tricky rock-covered patches that you'll need to negotiate carefully. At the bottom, there are clear pools that you can swim in, and camping here is a thrilling experience. This exciting adventure takes you deep into Sandhan Valley, also known as the Valley of Shadows. You'll trek through deep gorges that are cool and dim, rappel down craggy rock surfaces, swim in natural pools, and camp in the middle of a rocky landscape, with just your campfire and the stars above to light the evening. It is a great spot for stargazing, and photographers will get some stunning shots of light and shadows, as well as star trails. This is not an easy trek and is not recommended for first-timers. You'll be trekking quite a bit on the second day, and will be roped up to do some rappelling too.